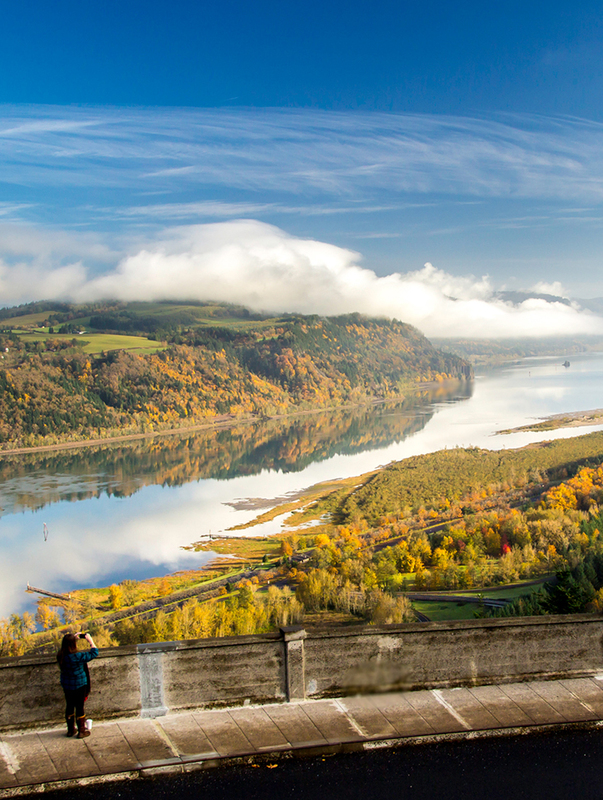 The Columbia Gorge Express has four conveniently located stops that make it easy to access some of the Gorge’s main attractions. 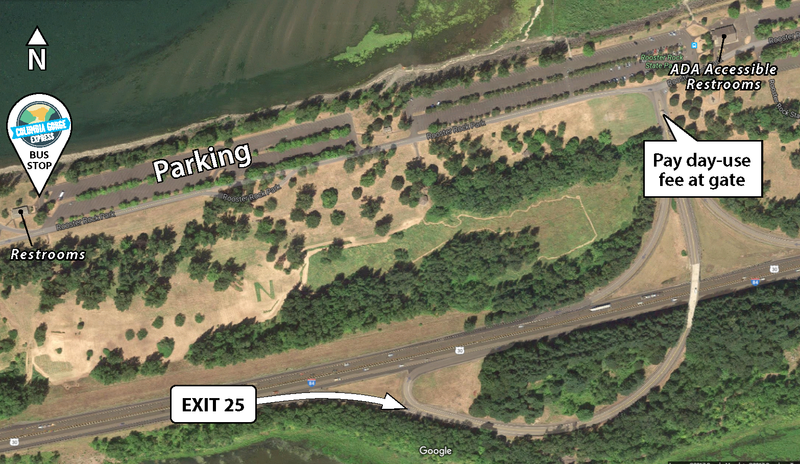 Hop on the bus at Gateway Transit Center or Rooster Rock State Park and leave your parking worries behind! 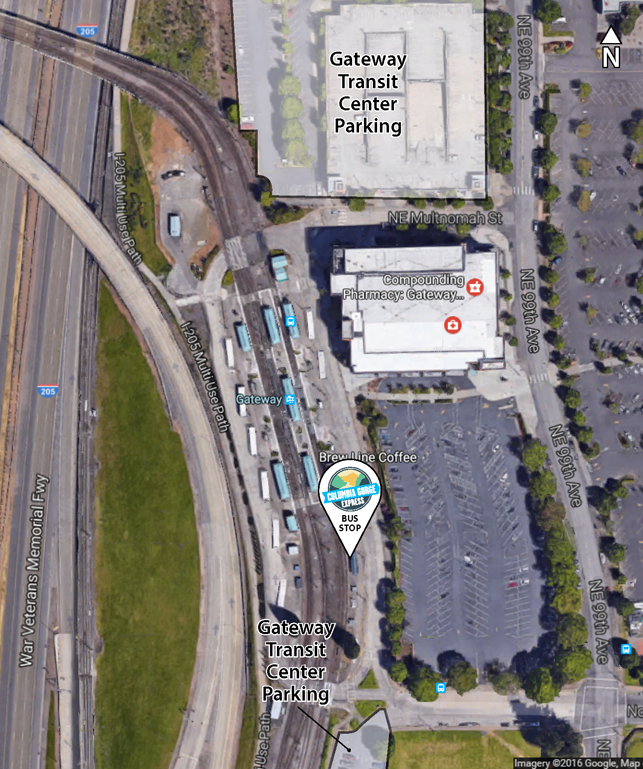 The Gateway Transit Center is located at the intersection of NE 99th Avenue & Pacific behind Fred Meyer and east of I-205. 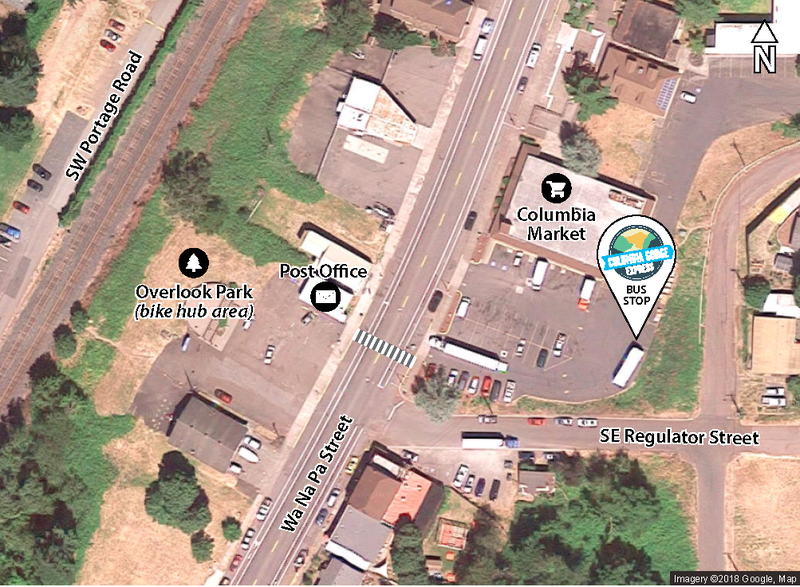 The Columbia Gorge Express bus stop is located at the south end of the Gateway Transit Center bus bay near Stop ID 10863. On weekends during the summer, the Columbia Gorge Express provides shuttle service between Rooster Rock State Park and Multnomah Falls. Drivers must pay the $5 day-use fee per vehicle to park at Rooster Rock State Park—then hop on the shuttle for free! Rooster Rock State Park is located at Exit 25 on I-84, approximately seven miles west of Multnomah Falls. The bus stop is located at the west end of the Rooster Rock State Park parking lot. More information available through Oregon State Parks. Note: full buses originating from Gateway Transit Center may not stop at Rooster Rock if all users are going to Multnomah Falls. 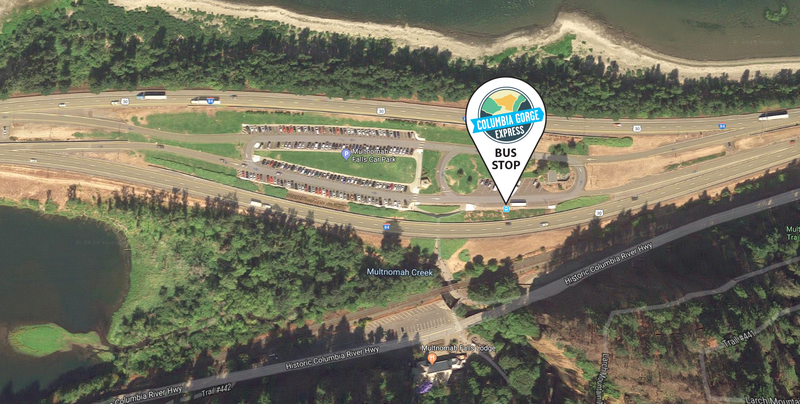 The Columbia Gorge Express stop is located at the east edge of the Multnomah Falls Car Park. From there, it’s just a short walk to the falls! 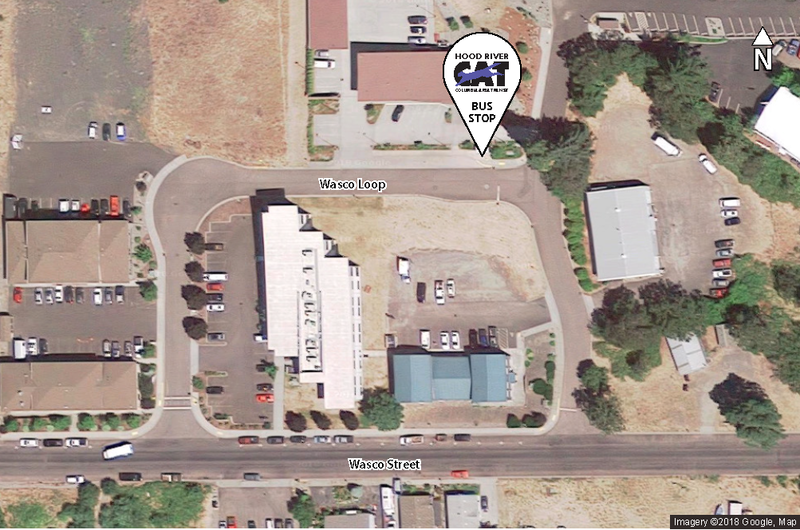 The current stop location in Cascade Locks is at Wa Na Pa Street and Regulator Street, in the parking lot of the Columbia Market. Gorge Express riders are welcome to use the restrooms at the Columbia Market. 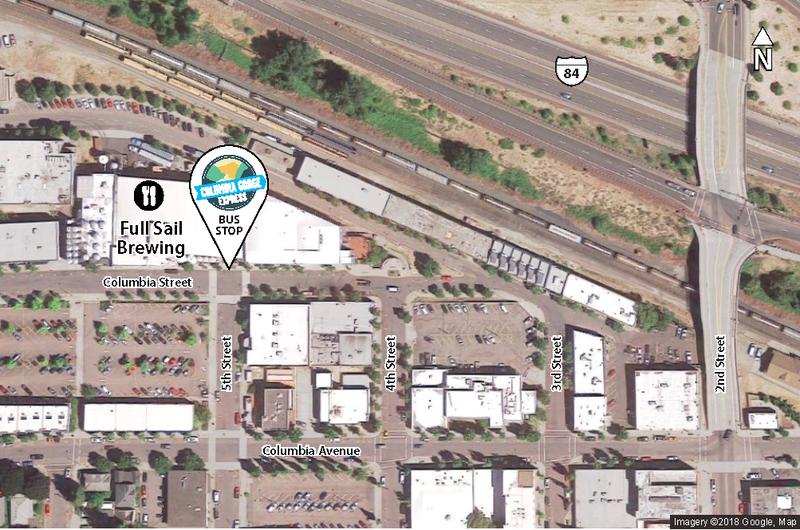 At the Full Sail stop, use nearby public lots, such as the lot in front of Hood River Cinema and behind Hood River Hobbies. At the Columbia Area Transit stop, please respectfully use the Walmart parking lot. For both stops, you may park on-street where permitted.